The famously versatile director goes back to the heist well, with a West Virginia twist. This kind of stuff don’t happen to normal folk. Steven Soderbergh is one of a handful of directors that can do just about anything he wants. That isn’t only with regards to the kinds of projects he can make, though his always efficient productions and long-honed indie sensibility don’t carry the financial expectations of a Christopher Nolan or a Spielberg. This allows studios to green-light not just something like Logan Lucky, but television experiments like The Knick or The Girlfriend Experience. It also includes his versatility on set, where he has frequently served as his own cinematographer and editor (occasionally under a pseudonym), and has been known to assist in triage when other directors’ projects get into trouble in post. He’s done theater. He wrote a novella and released it on Twitter 140 characters at a time. He even re-cut Raiders of the Lost Ark as a black & white silent film, just for his own education. Soderbergh has claimed to have retired from filmmaking numerous times, but it has never stuck; just last month, it was reported that he had already shot an entire feature film just on his iPhone. That eccentricity, of course, is clearly manifested in his diverse and reliably entertaining filmography. From Out of Sight to The Limey to more “prestige” efforts like Traffic and Che, he makes it look easy no matter how high or low the stakes are. To the average moviegoer, he’s best known for the Ocean’s trilogy, that star-studded series of capers and split-screens, tightly-constructed screenplays with switchbacks and one-liners, all coated in Old Hollywood gloss. I used to think of those films as guilty pleasures, but I’ve now realized I don’t need to apologize for loving them. Soderbergh is a craftsman first, and even when he misfires (which does happen), it’s not because he got lazy. That brings us to Logan Lucky, his first crack at a caper in ten years. It doesn’t move the genre forward or deliver a series of “wow” moments, but it’s a solid, understated, character-centered comedy that doesn’t look down upon its backwoods heroes; its message, if there is one, is that you don’t have to be George Clooney or Brad Pitt to pull off an impossible heist and look cool doing it. You could be a one-handed bartender, a tough-as-nails beautician, or a bleach-blonde, drawling expert in things that go “bang.” There are a lot of people around the country who will love seeing characters in a film like this that look, talk, and drive the same trucks they do, and that’s not insignificant. Channing Tatum plays Jimmy Logan, the eldest sibling of the Logan family, thought to be “cursed” by the locals. Their parents are gone; Jimmy’s dream of being a star quarterback was derailed by a knee injury; his brother Clyde (Adam Driver) lost his left forearm on his second tour in Iraq; only their sister Mellie (Riley Keough) has reached some success with her small salon, but none of them are content. And when Jimmy loses his job as part of the crew fixing the sinkholes underneath the Charlotte Motor Speedway, it creates yet another problem, but also gives him an idea: to rob the cash accrued in the stadium’s vault by breaching the pneumatic tubes near where he had just been working. There’s a casual grace to these characters, even to Joe’s goober brothers (Jack Quaid & Brian Gleeson) who are a more unified, less qualified version of Casey Affleck and Scott Caan. Katherine Waterston pops up for a minute, as does a super-serious Hilary Swank. A beauty pageant subplot for Jimmy’s daughter provides a guileless counterpoint to the antics of British-accented Seth MacFarlane, who’s sponsoring a race car driver played by Sebastian Stan, and is an obnoxious distraction until he factors into the scheme…because before it’s over, every single character will somehow factor into the scheme. At 119 minutes, there’s a lot of pieces to keep track of, and more than one scene that feels unnecessary at first gets paid off later. Here Soderbergh is once again credited as director, cinematographer, and editor, but there’s a new name above the fold: screenwriter Rebecca Blunt. Now, it’s widely presumed that Blunt is a pseudonym, too, and it’s become an industry parlor game to guess who she is — though the cast exchanged emails with her during production, believing her to be real. The lead theory that “Blunt” is actually Soderbergh’s wife, Jules Asner, in what would be her first screenplay. Why hide her identity? There are just as many theories for that; mine is that Logan Lucky was written as a lark, with no preconceptions of it being made, and the director wants to protect her from the solicitations of producers and agents. It does borrow many of the same beats from the earlier trilogy, right down to David Holmes’ jazzy score and the reveals via third-act flashback. We even hear a news anchor call the crime “Ocean’s 7-11.” There’s a comfort in that; it’s one of the reasons why I love the heist genre. There’s a team to get together, there are recon and supply mini-quests, there’s a moment where it all hits the fan, and then the final exhilarating twist where seemingly impossible eventualities were already planned for. 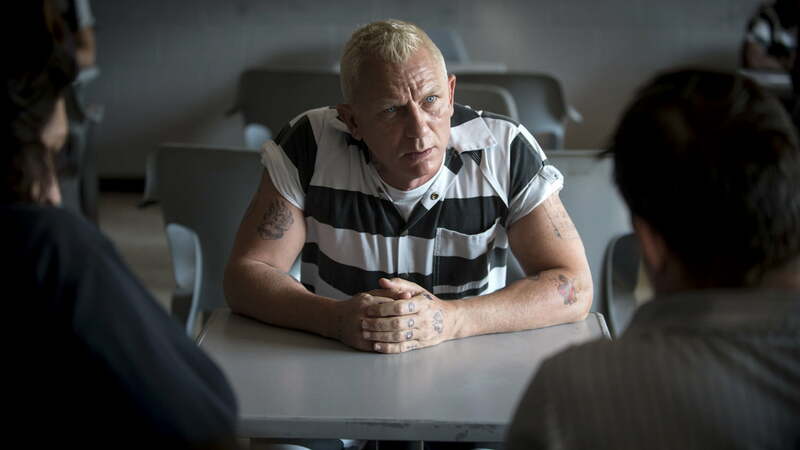 Logan Lucky goes one step further, however, in a way that I won’t spoil here, but does make that final act feel draggy to the film’s ultimate detriment. It’s more than reasonable for Soderbergh and “Blunt” to not want to deliver the exact same thing we’ve seen before, but the seasoned editor delivers a few fake-out endings, each one deflating the film’s momentum before unnecessarily leaving the door open for a sequel. It just needed one more push, a little bit more forethought, to make it more than what it is. Though what it is, to be clear, is still an awful lot of fun.